Manchester City have completed yet another big money signing, which has taken their total spend so far in the off-season to over £50 million! No surprises there, eh? After capturing the services of Spaniard Jesus Navas from Sevilla earlier on this week, City have now bolstered their midfield options even further by signing of Shakthar Donetsk midfielder Fernandinho on a five-year deal for a fee believed to be within the region of £34 million. The 28-year-old had been attracting a huge amount of interest from all over Europe in the past couple of years, especially that of City and their neighbours United and Italian champions Juventus after his phenominal performances for Shakthar in both the Champions League and the Ukranian League. In his eight years with Shakthar, Fernandinho played 284 times, scoring 53 goals. He also won the Ukranian Premier League six times, the Ukranian Cup four times, the Ukranian Super Cup three times and finally the UEFA Cup. So we all know this lad is a born winner. 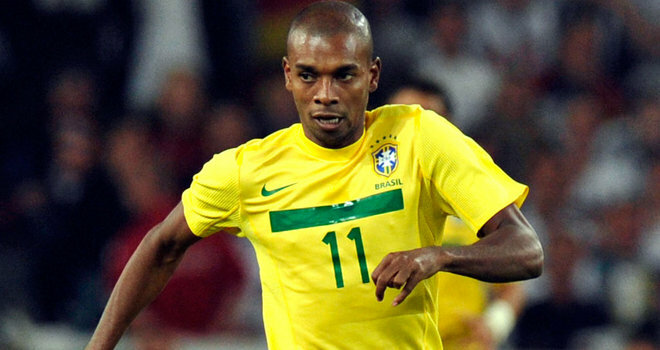 I really do think that Fernandinho will be one of the signings of the summer. His ability both on and off the ball is just incredible, and I am looking forward to watching him tear up the Prem along with City’s other new boy Jesus Navas. Value for money: 8.5/10 Although the fee was a bit hefty for him, his flamboyance, skill and awareness win him over for me. Top, top signing.